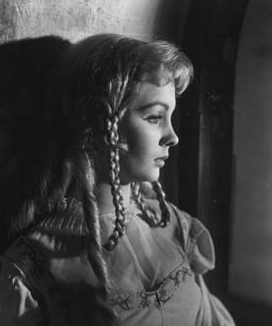 At only nineteen years old, Simmons was chosen by the already legendary Laurence Olivier to play Ophelia in his screen version of HAMLET (1948), despite confessing to the actor-director that she hadn't really liked Shakespeare in school. However, after Olivier explained the part to her, and under his direction, Simmons received a Best Supporting Actress Oscar nomination for her performance. 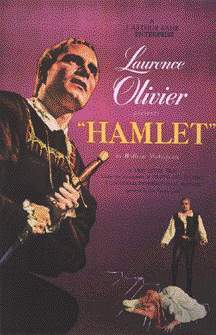 HAMLET won consistent critical acclaim in Britain and the United States, and was also named the Best Picture of 1948 by both the Academy of Motion Picture Arts and Sciences and the British Academy of Film and Television Arts. "She plays the sane scenes with a baffled docility, a faint aura of fey, and a tender suggestion of nascent maturity ... She plays the mad scenes as if she had never heard that Ophelia is one of Shakespeare's most shameless tear-jerkers, and as if her lovely language and her cracked, ribald little songs were drifting out of a broken soul for the first time, rather than for the third century... Compared with most of the members of the cast, she is obviously just a talented beginner. But she is the only person in the picture who gives every one of her lines the bloom of poetry and the immediacy of ordinary life." (28 June 1948, pages 54-6). As few pictures could be expected to match the quality and prestige of HAMLET, Simmons next few films were destined to disappoint some. 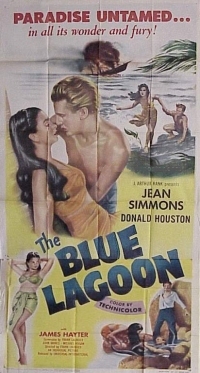 Among those receiving a mixed reception was THE BLUE LAGOON (1949) which Simmons made for Rank on location in the Fiji Islands of the South Pacific. This second film version of Henry De Vere Stacpoole's 1908 novel about two children shipwrecked on a deserted island who grow up together learning to cope with the multiplicity of physical and emotional changes that come with maturity (including love and marriage), THE BLUE LAGOON was generally panned by critics for its naive, dated, idyllic storyline. 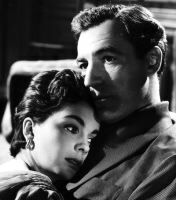 The film was a modest hit with post-war British audiences however, who responded favorable to its innocent, escapist theme and exotic Technicolor location photography. It was also moderately successful in the United States, increasing Simmons' exposure and growing reputation among American audiences. 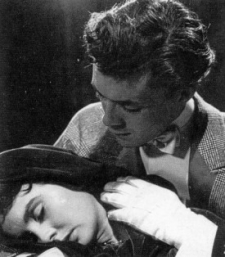 In 1950, Simmons and fellow Rank contract player Dirk Bogarde (right) were loaned out to Gainsborough Pictures for SO LONG AT THE FAIR, a mystery story about a young woman whose brother vanishes during the 1889 Paris Exposition. With David Tomlinson as her brother, Cathleen Nesbitt as the sinister hotel proprietor, and Bogarde as the young painter who tries to help her, Simmons turns in a very credible performance in this intriguing costume thriller which stands up amazingly well after fifty years. 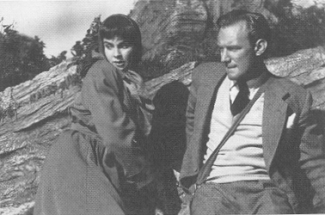 Better-received by critics was THE CLOUDED YELLOW (1951) which featured Trevor Howard (right) as an ex-secret service agent who takes a job cataloguing butterflies and eventually finds himself involved in a murder plot when he helps fragile, unbalanced Simmons defend herself against an accusation of homicide. David Shipman, The Great Movie Stars 2: The International Years (New York: Little, Brown & Co., 1995) 549.